Nissan will celebrate its long-tenured and highly honored legacy in U.S. motorsports — 50 years, 100 SCCA National Championships and 200 IMSA sports car wins — at this year’s Rolex Monterey Motorsports Reunion set for Aug. 23-26. As the featured RMMR marque, and the first-ever Japanese brand to earn this attention, Nissan has a lot to commemorate and show off. “More than 50 Nissan/Datsun race cars have registered to compete on track at RMMR this year. These include IMSA champion Steve Millen in his Daytona and Le Mans-winning Nissan 300ZX Turbo and Hall of Fame racer John Morton driving the BRE Datsun 240Z. 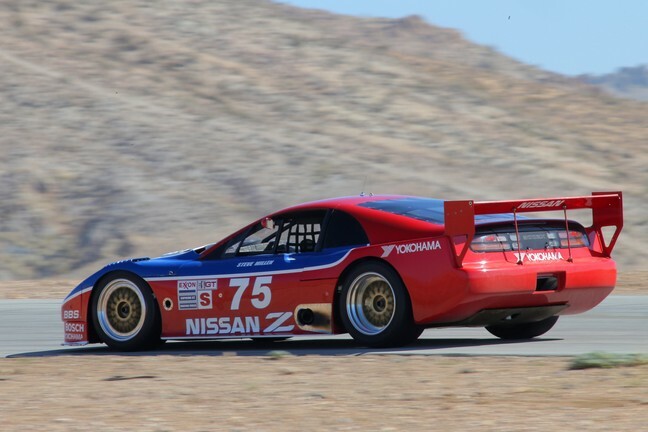 Comedian and vintage car collector Adam Carolla will drive his SCCA National GT-1 Championship 300ZX Turbo, originally raced by Paul Newman,” said Nissan in a press release. Peter Brock and other legendary racing champions are also set to make an appearance at the prominent event. Some of the legendary racers will take time to talk to Carolla on Saturday for a special edition of his podcast, Car Cast. Past winning historic Nissan models will be showcased as well. Racing enthusiasts will be able to marvel at the GTP ZX-Turbo, the BRE Datsun 510, and the C-Production Champion 240Z. A total of 14 cars, specially curated by Nissan, will be on display. These include the Nissan R383, winner of the 1969 Japan Grand Prix, and the Nissan R390 GT1 road car. The RS83 and the R390 have never before been showcased in the U.S.
To balance its past, Nissan will also showcase its most innovative technology, Nissan Intelligent Mobility, in two current models — the 2019 Altima and 2018 LEAF. The RMMR is part of Monterey Car Week, which includes the famous Pebble Beach Concours d’Elegance.